Providing real protection for your investment, custom car covers are precisely engineered to offer the best barrier against sun, moisture and environmental pollutants. Our car covers are finely crafted to deliver a custom fit for your Stingray or Z06 with the fewest seams possible for a clean look and superior protection. 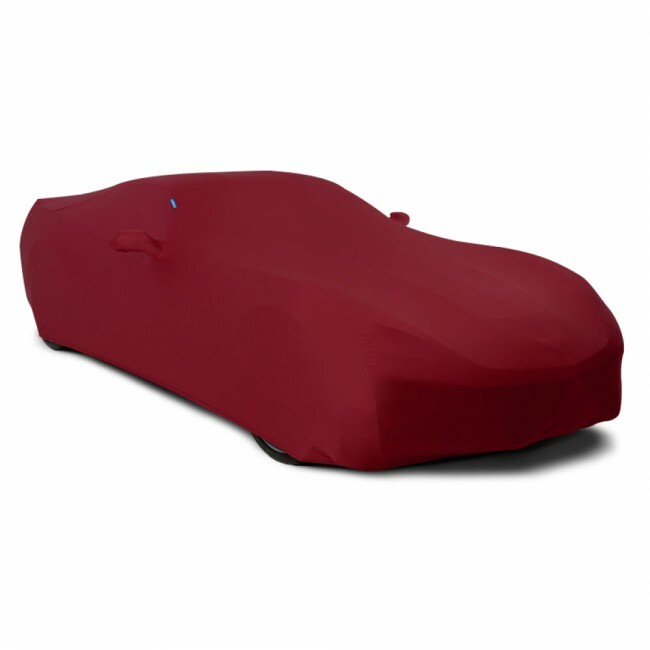 The Stormproof™ outdoor Corvette cover offers the ultimate protection for your car. It is the most waterproof yet breathable car cover material available. Stormproof™ car cover material exhibits outstanding sun and U.V. resistance, able to last for years in Arizona sun without fading. The micro-fiber base material is soft to the touch and won’t scratch a car’s paint - yet it rolls up into a very compact package for easy storage. Stormproof™ is unique in the field of Custom Car Cover materials in that it is untreated, uncoated, and unprocessed. Through advanced textile engineering, Stormproof™ accomplishes the needs of a premium Car Cover material without the coatings which can easily wear off, the treatments which fade over time, and the processing which can be undone the first time it is exposed to water. Stormproof™ is the best car cover material for any climate or car cover need (excluding protection from hail and dings) and will last for years. Limited 1 year manufacturer's warranty.